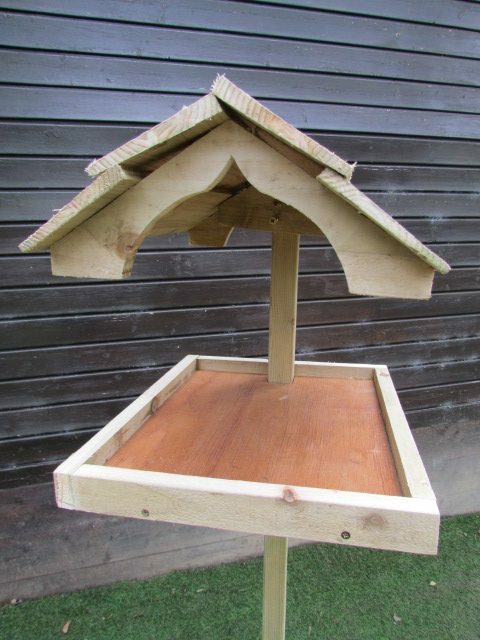 This wooden bird table will look lovely in your garden, attract many different species of garden birds, and last for many years. Made in the UK from pressure treated timber from sustainable FSC approved sources. 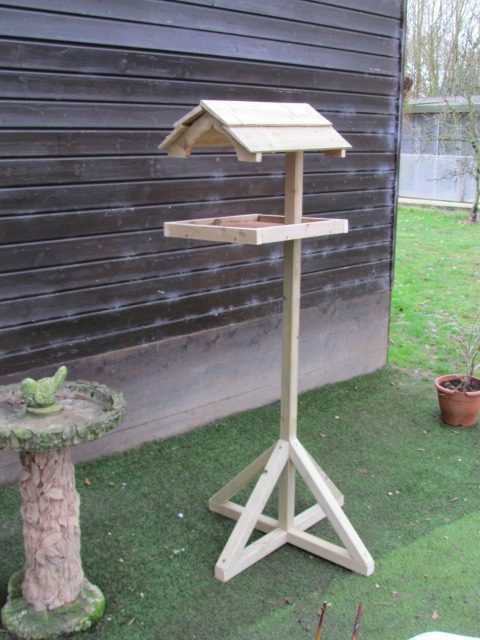 Our Bird Tables are made of pressure treated European Softwood and are therefore suitable for long life outdoors. The timber used is FSC® certified so is sourced from well managed forests. Table is 43cm x 36cm overall, and stands overall 157cm high. Some self assembly required to fix the legs and attach the top to the stand.